A gift for any occasion, Eataly's e-gift card opens a door to Italian cuisine, offering our abundance of high-quality food and drink from Italy's 20 regions. With an e-gift card, you can give the food lovers in your life the opportunity to discover authentic fresh truffles from Urbani, as well as Eataly favorites such as Afeltra’s air-dried pasta, Roi’s extra virgin olive oil, and beyond. 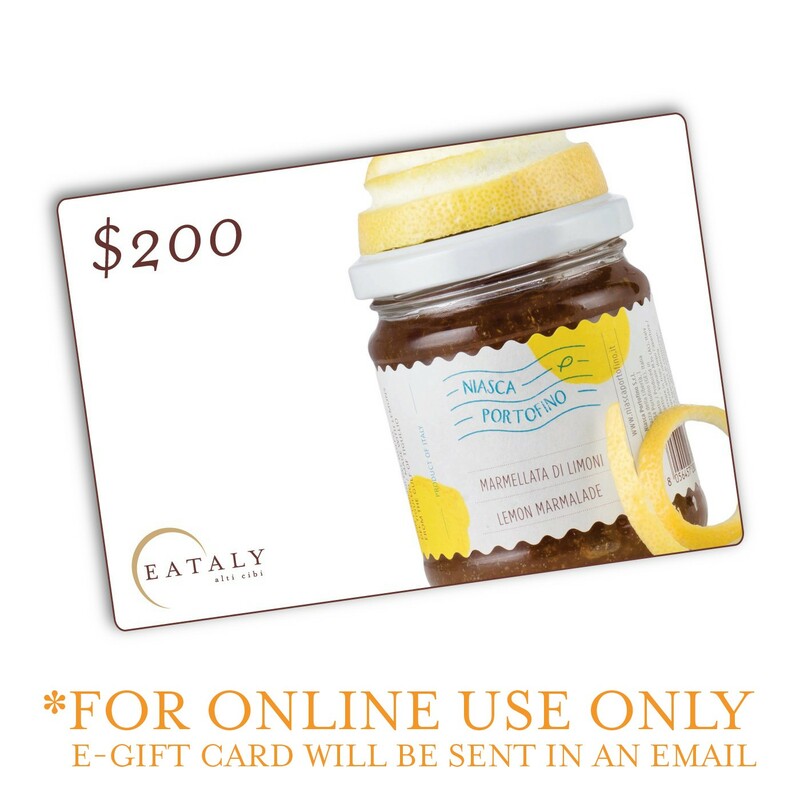 *We currently do not accept e-gift cards at Eataly Las Vegas. Please note that e-gift cards expire five years after purchase and are nonrefundable.